With over 60 years of experience, John’s Plumbing & Pumps, Inc is your plumber in Yelm. We offer know-how at a level you can trust. 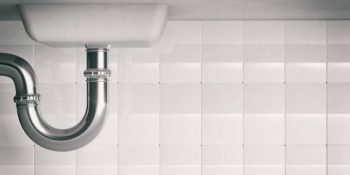 Our complete services include all residential and commercial plumbing and rooter needs. As a locally-owned business, we care about our customers. That’s why each plumber working for us has been thoroughly vetted and has the credentials and friendly demeanor we require. That is our commitment to you. Commercial Plumber – These larger-sized jobs need to be handled with care. Our plumber has the expertise for any size job. We have the heavy-duty equipment at the ready, and your plumber who knows how to use them. Emergency Plumber – We don’t keep you waiting when you need our services the most. We work diligently to get to you quickly when you call for emergency services. Sewer, Septic, and Drain Plumber – We install and maintain sewer lines and septic systems as well as pumps. Our well-stocked trucks carry a large variety of parts so we are ready for your call, no ordering necessary. Well Service Plumber – We install, repair, and service well water systems. Call us to keep your well water running clean. Leak Detection – Finding a leak before it becomes costly damage is important. 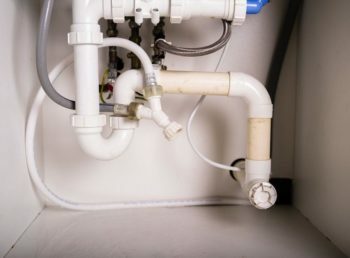 Our experienced plumber has the equipment to locate a leak without tearing up your yard >or the interior of your home. We pinpoint and correct the leak at the source. Water Filtration Systems – When you have a water filtration that needs to be installed or repaired, you can count on us, no matter the make or manufacturer. Our plumber has the professional skills to handle any type of water filtration system. And More – Our plumbers in Yelm and the surrounding area are licensed, bonded, and insured. We handle any type of plumbing, well water, or septic service need you have with precision and excellence. We are dedicated to our customer satisfaction. We offer up-front estimates and are always happy to explain what we find and answer any of your questions or concerns throughout the process. Our A+ rating with the BBB and our rave reviews on customer rating sites speak for themselves. For over 50 years we have been a multi-generational, locally-owned business committed to serving Yelm and the surrounding areas with excellent services. We are reliable, honest, and we truly care about our customers. Contact us today for the plumber that Yelm knows and trusts. Our plumbers take pride in serving the city of Yelm. With so much to offer, Yelm has been called the Pride of the Prairie. People come together to support things like the wonderful farmers markets, bowl at Bowlero Lanes, and fish at Cockrane Memorial Park.